When I opened my mail today, I was surprised to see that Ericka Greer of Highway- Y.A. 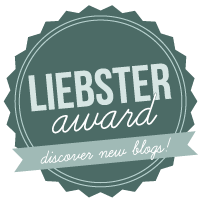 had nominated me for the Liebster Award. It's a great way for fellow bloggers to pat each other on the back, meet new bloggers and publicize their site to the general public. Q1. How long have you been blogging? Q3. What is your favorite book series? Q4. If you could meet one author which one would it be? Q5. While you are reading which is better: Coffee or Tea? Q6. Besides blogging what other things are you passionate about? Reading, gardening, writing and cooking. Q7. What book would you like to see turned into a movie? None. I think books are best when read. There true essence is somewhat compromised when adapted to television, howsoever, great the adaptation may be! Q8. Paranormal Romance or Science Fiction? Q9. What is considered to be the perfect day to just cuddle up with a good book? If I had my way I would make each day the perfect day and just cuddle up with a good book but alas, my perfect days are numbered occurring mostly on weekends. Q10. What is your favorite genre of books? I love to hoard books and irrespective of the current task at hand, can be found searching for book stores every time I go to the market. You can find books stocked everywhere in my room ranging from shelves to security safes! My father is my role model and I often wish I had inherited a bit more of his good qualities. I like to have an opinion on everything and can often be found reading anything I can find my hands on! I wish to go to Frankfurt and Switzerland someday because Heidi was from there and I totally loved her and want to feel the fresh air and beauty that I read about and saw in the cartoon! I laugh very loudly and have been trying to control my guffaws from I don't know how long!